Jeffery Robinette - West Virginia - Book a consultation instantly! Jeffery Robinette is a West Virginia personal injury lawyer who represents individuals who have been seriously injured or killed due to the irresponsible acts of an individual or company or have suffered financial losses due to property damage or professional malpractice. As a partner in a leading West Virginia insurance defense law firm prior to founding the Robinette Legal Group, PLLC in 1999, Mr. Robinette gained valuable insight into the insurance industry claims settlement practices. As a National Board Certified Trial Attorney who has handled hundreds of motor vehicle, injury, and construction defect claims and a leading author on insurance claims settlement issues and difficulties in West Virginia, Jeff Robinette is uniquely qualified to represent your best interest. Prior to law school, Mr. Robinette served as an artillery, intelligence, and psychological operations officer and an accomplished paratrooper (Jump Master Qualified) in the U.S. Army's 82nd Airborne Division and is proud to have contributed to the defense of our country. 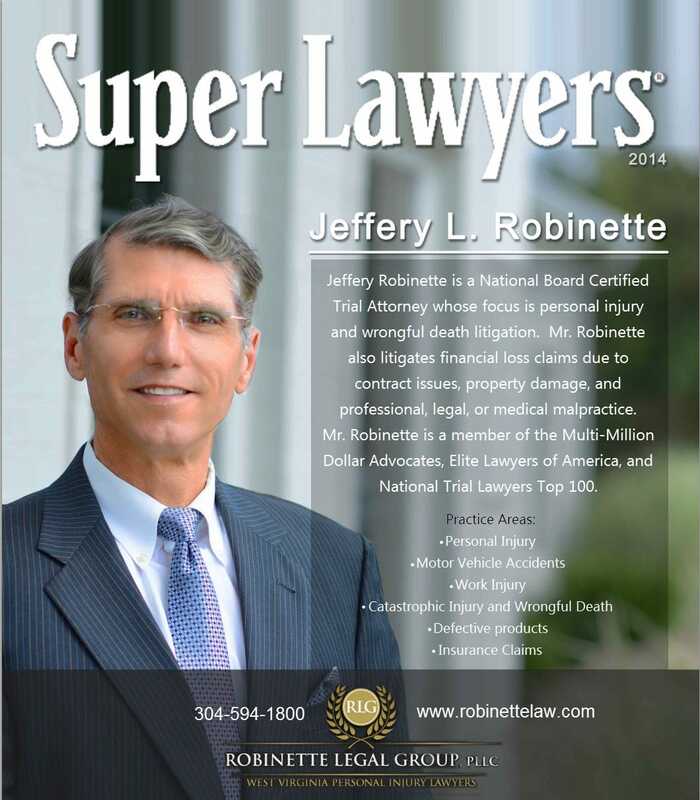 In his legal practice, Mr. Robinette offers his clients the same honor, dedication and discipline. Whether fighting an insurance claim denial or taking a personal injury claim to trial to get the best recovery for a client, he will use the strategic skills and discipline he gained in the Army to fight for your best possible result. Respect, compassion, and integrity is his guarantee to our clients, along with attention to detail and hard work. "No one expects their life will be suddenly and permanently changed as a result of a sudden, tragic event. Because wrongdoers give no advance warning of their careless behavior, even safety-minded people are not always able to avoid injury. Wherever tragedy occurs, it leaves its permanent scars on people’s lives and turns their world upside down. That’s why I go to work every day: to provide you and other injury victims and their families the essential information and compassionate legal help which will enable you all to maximize your efforts to rebuild your lives." ~Jeff Robinette Prior to representing injured individuals exclusively, Mr. Robinette was a partner in a major West Virginia law firm where he focused his law practice on defending serious and catastrophic injury claims, and had countless opportunities to gain inside knowledge of the operations and dangers of coal mines, power plants, and other industrial sites. Jeff Robinette has litigated and tried numerous and varied civil cases, including serious personal injury and wrongful death cases. He now devotes his entire law practice to representing injury victims with a focus on catastrophic injury claims. Attorney Robinette has handled hundreds of serious and catastrophic injury claims caused by motor vehicle collisions and unsafe work environments, the two leading causes of serious and catastrophic injuries in the United States. 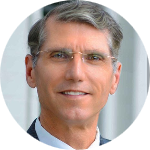 Jeffery Robinette was admitted to practice law in 1991 and is licensed in all levels of state and federal trial courts in West Virginia. Mr. Robinette is also licensed in all state and federal appeals courts in West Virginia and the United States Supreme Court. Education accomplishments include graduation from Concord College in 1983 with a degree in political science and history, and graduation from West Virginia University College of Law in 1991 where he was an editor of the West Virginia Law Review. Legal experience also includes serving as adjunct lecturer on appellate advocacy at West Virginia University College of Law. Jeff Robinette is also a trained mediator and have completed the basic and advanced mediation training sponsored by the West Virginia State Bar. Mr. Robinette's publishing accomplishments include serving as editor and a contributing author of the West Virginia Law Review, and he is a leading author on West Virginia injury victims’ rights, having published three books for the purpose of assisting injured people and their families to understand their legal rights after a traumatic injury or tragic, unexpected death. Memberships include of the Multi-Million Dollar Advocates Forum and Elite Lawyers of America, whose memberships are limited to lawyers who have attained multiple, multi-million dollar recoveries for personal injury victims. Recent accomplishments include achieving the distinction of becoming a National Board Certified Trial Attorney, a designation reached by only 3% of lawyers nationwide. Mr. Robinette is the founding member of Robinette Legal Group, PLLC, a personal injury law firm devoted to fighting for the rights of injured people throughout West Virginia. Call today to learn if we can help you. Mr. Robinette is an Army veteran, and served with distinction as a paratrooper in the 82nd Airborne Division. Lifetime member of the 82nd Airborne Division He is an active member of the 82nd Airborne Division Association and The Gideons International.Member, Gideons International.